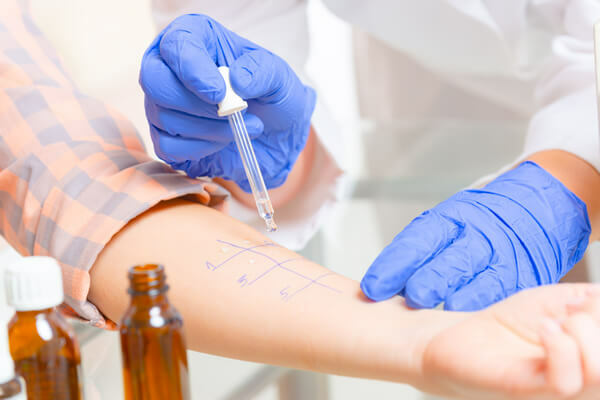 Dr. Sameer Naseeruddin and Sejal Jhaveri, NP offer tests to diagnose allergies and treatment to their Chicagoland based patients at Skypoint Medical And Vein Center, conveniently located in Schaumburg, Illinois. An allergy is a hypersensitive immune response to a substance called an allergen. When a person has an allergic reaction, the body fights the allergen as if it were a pathogen and tries to eliminate it from the system. An acute reaction to an allergen results in anaphylaxis, a potentially life-threatening condition which requires immediate emergency care. Substances such as pet dander, mold, insect venom and pollen are common allergens. Some people may even have a reaction to materials like latex, wool, or cotton. The most common forms of allergens can be found in the pollen from plants and flowers, foods and beverages, insect bites or stings, or pet dander. While hay fever is the most commonly known allergy, food allergies are becoming much more prevalent. What Tests Are Used to Diagnose Allergies? To identify what an individual is allergic to the physician will inquire about the symptoms being experienced and the types of allergens with which the individual could have come into contact. Allergy skin tests and blood tests are employed to diagnose the allergy. 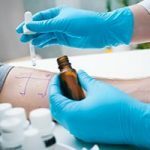 Throughout an allergy skin test, the physician will utilize concentrated extracts of particular allergens to test for a rash-like skin reaction . When the reaction is present, the person is allergic to that allergen. This reaction can be achieved by pricking the upper layer of skin, injecting a tiny amount just beneath the skin, or placing a treated patch on top the skin. When a food allergy is a concern, it patients should try to identify what they could have eaten which could cause the reaction. This assists the doctor to determine which tests to use. Antihistamines and decongestants- these medications can assist with the nasal symptoms of allergies including congestion, itching, and sneezing.